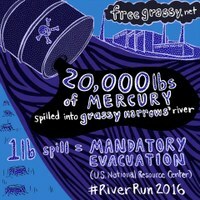 Toronto – The Chief of Grassy Narrows First Nation in Northwestern Ontario is speaking out today after learning that evidence of a poisonous mercury dump has been found behind the Dryden paper mill, upstream from this Indigenous community where many people suffer from mercury poisoning. The Chief is calling for immediate access to the mill site for Grassy Narrows’ experts to investigate, and he is calling for the Wynne and Trudeau governments to clean up any mercury contamination that is found. Mercury is a potent neuro-toxin that damages the brain and nervous system leading to loss of vision, touch, balance, and coordination as well as learning disabilities with lifelong impacts. The Chief wrote on Friday to Minister Glen Murray, and Domtar CEO John D. Williams requesting that they grant access to the Dryden mill site for Grassy Narrows’ experts to conduct a thorough investigation into improper mercury disposal. Yesterday Domtar, the current owner of the Dryden mill property, responded to the Chief but did not grant access for Grassy Narrows’ experts to search for Glowacki’s toxic barrels on the property where mercury contaminated soil has now been found. Previously, in an August 9 letter, Domtar explicitly denied Grassy Narrows’ earlier request for access to the mill property to search for the barrels. “Domtar does not consent to provide access to the Dryden mill property to grassy Narrows or its representatives for environmental testing or survey work,” wrote David Struhs, Domtar Vice President for Corporate Services and Sustainability on August 9, 2016. Volunteers from Earthroots, an environmental group, recently found highly contaminated soil in the area where Kas Glowacki, a former mill worker, says he buried 50 barrels of mercury and salt haphazardly in a pit behind the mill in 1972. In June of this year, after a Toronto Star investigation exposed the government’s failure to act on Glowacki’s tip, a spokesperson for the MOECC told the Star that the ministry is doing “everything in its power” to find the site. The government searched for the barrels this summer using geophysical sensors but concluded there was no evidence of the barrels. But it appears that they searched in the wrong place. However, the following day Premier Wynne back tracked and refused to commit to cleaning the English-Wabigoon River claiming that it would risk releasing old mercury. The Toronto Star reported that, when asked, her government provided no evidence of risk associated with the clean-up methods recommended by the expert report. Dr. David Schindler, founder of the Experimental Lakes Area, wrote to Premier Wynne saying that “this fear is needless” and urged the Premier to proceed with the reclamation of the river. 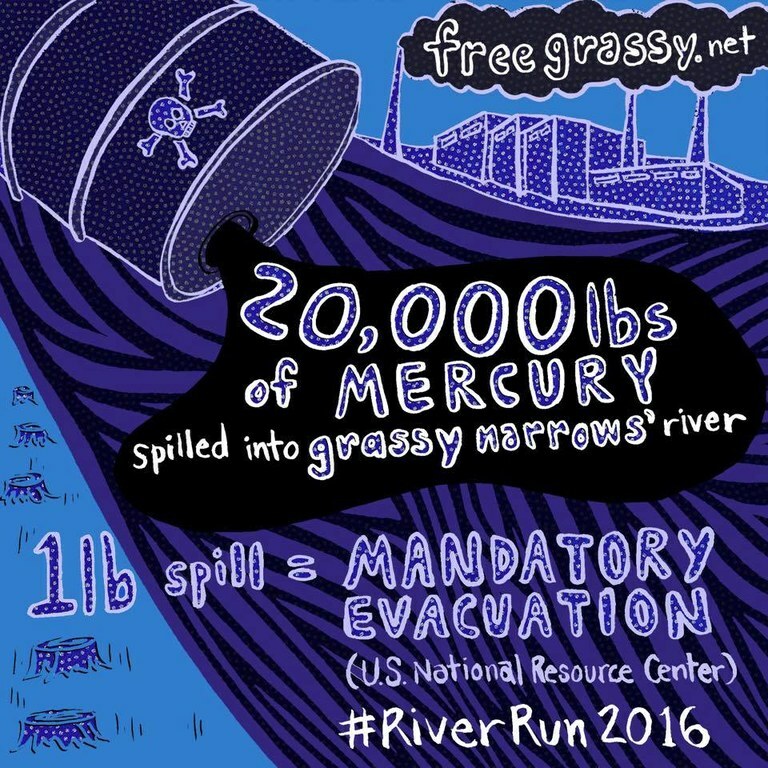 A recent report by Japanese mercury experts found mercury poisoning symptoms in 90% of people tested in Grassy Narrows First Nation and Wabaseemoong Independent Nations in 2014, including younger people. Another expert report by Canadian mercury expert Dr. Mergler found that between 1978 and 1992 many babies were born in Grassy Narrows with umbilical cord blood mercury levels high enough to cause permanent brain development impacts.